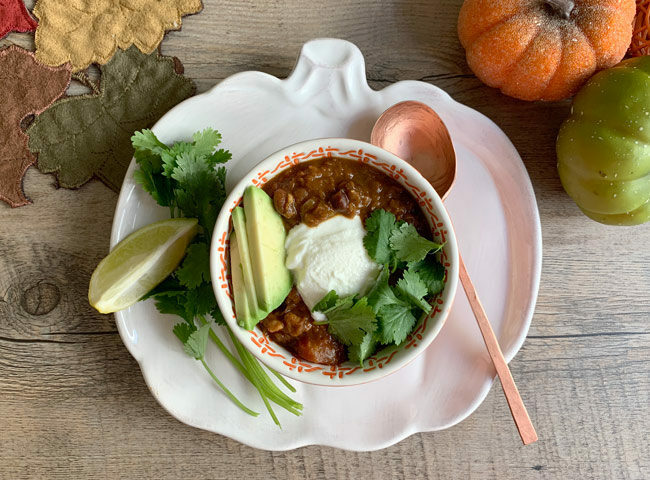 Instant Pot Red Lentil Chili with Pumpkins and Black Beans will wow your carnivores with its flavor and texture. 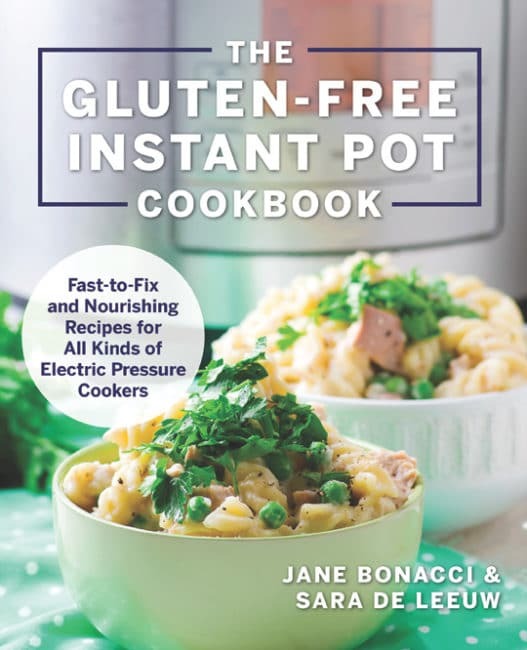 Just one of many fantastic recipes in The Gluten-Free Instant Pot Cookbook by Jane Bonacci and Sara De Leeuw. This easy dish makes a perfect meal on Halloween night – keep it on the warm setting and grab a bowl before or after trick-or-treating. Disclaimer: I received a copy of this cookbook for free. All opinions shared are my own. The Gluten-Free Instant Pot Cookbook is filled with comforting, nourishing, simple recipes that use easy-to-find ingredients and pantry items you will likely have on hand. You don’t need to be a gluten-free eater to enjoy this book. While Jane and Sara always offer ingredient choices to satisfy gluten-free requirements, every recipe is just as appropriate for a gluten-based diet. And if you are tentative about how to use your pressure cooker, Jane and Sara take all the fear and guesswork out of it with excellent instructions. I started with this red lentil chili because it is a tradition in our house to eat chili on Halloween. And what better chili to eat for Halloween than one with pumpkin in it?! At first I was skeptical that it might taste sweet or just not savory enough to satisfy my carnivore husband’s beefy chili expectations. But I was wrong. 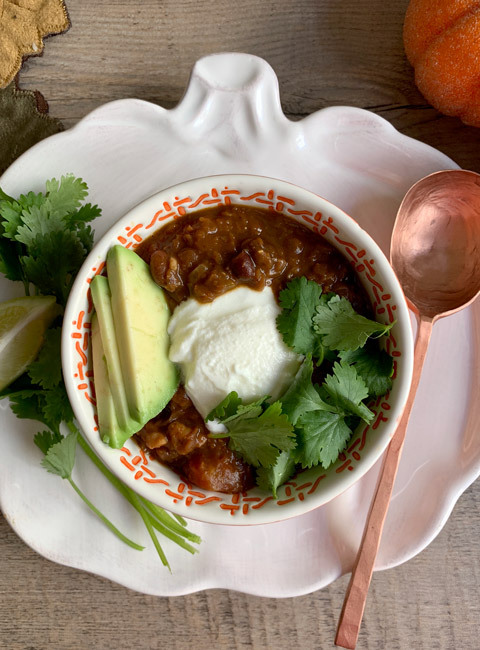 This Instant Pot Red Lentil Chili is a really smart recipe. 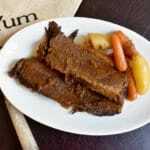 It looks and tastes hearty and substantial like a traditional beef-based version. But it is vegan (if you don’t put the yogurt on top) and gluten-free if you use Jane and Sara’s recommended ingredients. While the recipe doesn’t even require you to saute the onions, garlic and peppers first, I put my pressure cooker on sauté and did. As they caramelized and softened, I gathered my other ingredients – the walnuts, lentils, seasonings, and stock. Once the veggies were softened and slightly browned, I added everything except the pumpkin puree and the black beans. This mixture cooks at pressure for 30 minutes, then you add in the pumpkin and black beans and just let it heat through on keep warm. Voila – you have a deeply colored and richly flavored vegan and gluten-free chili to enjoy. 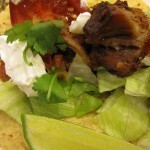 They suggest topping with avocado, lime wedges, and cilantro and to serve it with corn bread. A dollop of sour cream or yogurt is also excellent if you are not concerned about it being vegan. What Ingredients are in Instant Pot Red Lentil Chili? 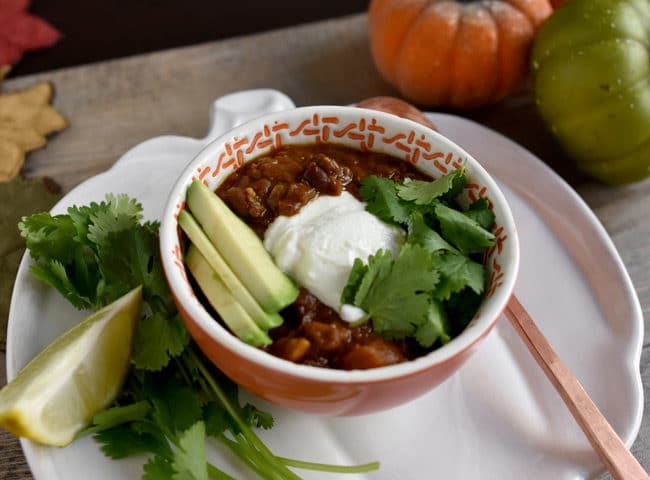 In the book, they call this recipe Pumpkin Black Bean Chili. But I think every carefully chosen ingredient in this recipe matters. Two cups of red lentils give it protein and so much wonderful texture and color. Plus red lentils cook quickly. Fire-roasted tomatoes are the perfect addition for liquid, color, and flavor. Vegetable stock is used to cook the red lentils under pressure. I think you could use chicken stock or beef stock if you are not trying to make this dish vegan. Fresh peppers – jalapeno and poblano – give it flavor and heat but not too much heat if you take out the seeds. Canned chipotle pepper adds a bit more spice and lots of smoky flavor, enhanced further by the smoked paprika. The surprise ingredient for me are the walnuts. They are toasted up and coarsely chopped and cook in the instant pot with the lentils. When you serve the chili, they still have a crunch to them – adding an even more interesting texture to the dish. Pumpkin puree (unsweetened) and the 2 cans of black beans are added after the pressure cooking is done and just get heated through. Turns out you can’t really taste the pumpkin but it brings together the expected chili consistency just perfectly. And it has all the expected chili basics – onion, garlic, chili powder. 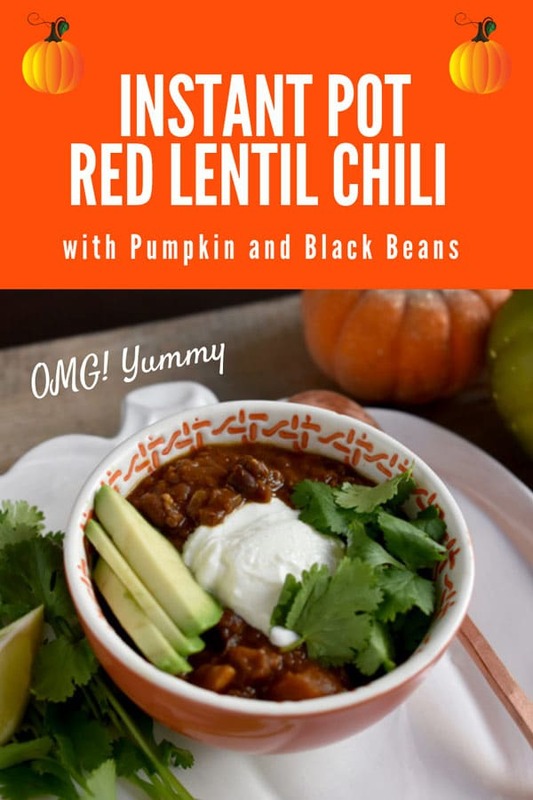 I highly recommend making this Instant Pot Red Lentil Chili with Pumpkin and Black Beans, even if you are used to making beefy chili con carne. And if you are looking for inspiration to take that Instant Pot out of the box and use it, buy this book and get going! What are you waiting for? Don’t have a pressure cooker yet? We bought the 6 quart Instant Pot and are happy with it even though we mostly cook for two people these days. If you are cooking for a large family, you might consider the 8 quart version. This post contains Amazon affiliate links – if you click on one and purchase something, I receive a very tiny percentage of the sale. Your price is never affected. The income helps to offset the cost of maintaining OMG! Yummy. I truly appreciate your support. I also have an Amazon shop that includes some of my favorite food and food-related products. I am always updating it – please visit often. And let me know if you need specific products recommendations – I am happy to help! This deeply flavorful and texturally perfect chili from The Gluten-Free Instant Pot Cookbook is easy to make, will satisfy the carnivores in your crowd, but is vegan and gluten-free! Place the tomatoes, peppers, onion, garlic, walnuts, lentils, and seasoning in the inner pot of your electirc pressure cooker. Stir in 6 cups (1410 ml) of the vegetable stock. Stir in the pumpkin puree, black beans, and 1/2 cup (120 ml) of remaining stock. Lock the lid back in place and allow the beans to warm through, about 5 minutes. If the chili is too thick, add the remaining 1/2 cup (120 ml) stock and stir well. Serve with avocado, lime wedges, cilantro, and corn bread as desired. Jane and Sarah add the note that "red lentils have been hulled and split, showing their lovely golden-orange color. 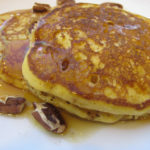 They are easier to cook and make for a very smooth consistency." This dish would be delicious without the walnuts or you could sub another nut, if you don't like or can't eat walnuts. Susan from Wimpy Vegetarian used pumpkin seeds and loved it. I love a good chili recipe! Can’t wait to try this one out! Perfect for Meatless Monday too! 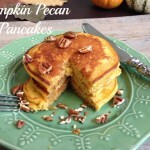 The pumpkin and black beans are the perfect addition to this! I think Jane’s recipe is pretty genius. A total flavor and texture win! I have been looking for a great lentil chili! I love that this has pumpkin in it – one of my favorite ingredients to add to chili. Can’t wait to try it, it looks amazing! It really is an easy and delicious chili. Something easy to feed a crowd at this time of year while taking a break from all the richness. You’ll love it! I love finding new recipes to try in my instant pot. This looks so hearty! It is – even my carnivore husband thought so! Love using my instant pot for quick and easy dinners. 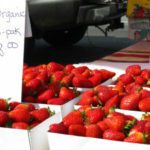 I have become a big fan – especially with tough cuts of meat, legumes, or frozen meat on a rushed dinner day. Love this addition to a classic dish. Chili is definitely one of my favs! 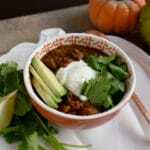 I have always tended towards to traditional style chili but this recipe won me over. Between the lentils and pumpkin, this is a must try chili recipe! Jane and Sara really came up with a good one – the flavor and texture are terrific. This chili looks incredible! And I love that there’s lentils instead of meat in it. Right?! – surprisingly rib-stickingly good! Yes – and it’s meatless Monday today – so let’s do this! I can attest; I didn’t miss the beef! Of course, my BBSL (beef blood sugar level) was a bit low after eating this too healthy dish. Haha – but the TQ (taste quotient) of this dish was quite high, offsetting your low BBSL. Yumm. I assume I can make this in an “old-fashioned” stovetop pot? I don’t want to buy an instant pot, nor a pressure cooker. Stovetop, oven, and slow-cooker are plenty for me. Great question Rita – I absolutely think this would cook perfectly on the stovetop. Red lentils naturally cook quickly. I would saute the peppers, onion, and garlic and basically follow the recipe otherwise – perhaps lentils will take a bit longer to soften but I think it would come out fantastic. By the way – when I bought the instant pot, the slow cooker went out to garage storage. The instant pot can slow cook too. I’m with you – minimize new additions to the kitchen. This looks so perfect for a savory fall meal and I love the addition of some red lentils too. I’m late on acquiring an instapot, but perhaps it’s time! We love ours – we don’t use it every day but when we do – we are very happy to have it! This chili looks amazing! I just put the ingredients on my grocery list for the week. I can’t wait to make this! I know you will love it. I knew it was a winner when my cranky carnivore gave it a thumbs up!